Oct. 17, 2016 7:00 a.m. If you haven’t considered opening up shop across the border in Whatcom County, now might be the time. In fact, it seems our neighbors aren’t that different when it comes to the ideal day. Imagine fishing for wild pacific salmon in the morning and snowboarding in the afternoon. 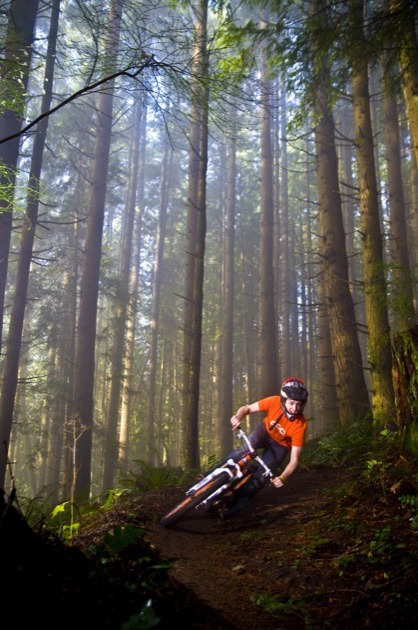 Or maybe you would prefer a day of world-class mountain biking followed by a tour of local microbrews (with 10 breweries and counting – that’s no problem!). Whatcom County has everything from great shopping and fine dining to outdoor adventure and international entertainment. 1. It has vibrant agricultural and food processing sectors. For example, 75 per cent of all the raspberries grown in the United States come from Whatcom County. 2. It has a population of a little over 200,000, but is only an hour-and-a-half drive from markets of more than six million people. 3. Internationally known companies such as Alpha Technologies and Nature’s Path started in B.C. and have found considerable success since opening up manufacturing facilities here. Businesses looking to grow should consider Whatcom County because it not only allows owners to expand their markets and learn how to operate on an international basis, but they can still be back at their home in B.C. every night. Along with accessing a larger market, having a second manufacturing plant in the U.S. eliminates the hassle of moving products across the border. Whatcom County has all the resources you need for a successful expansion project without the urban congestion. People who live here enjoy fantastic recreational and cultural opportunities in a beautiful environment while having access to quality jobs, education, healthcare and training. With a diverse economy, multiple higher educational institutions, affordable real estate and great transportation infrastructure, choosing Whatcom County is the natural choice to grow your business. Its distinctive northwest lifestyle mixes a creative culture with a casual nature that makes the region a very attractive place to live, work, and play. Plus, there is always the view of Mount Baker that makes it feel like home. Choose Whatcom and move your business forward!